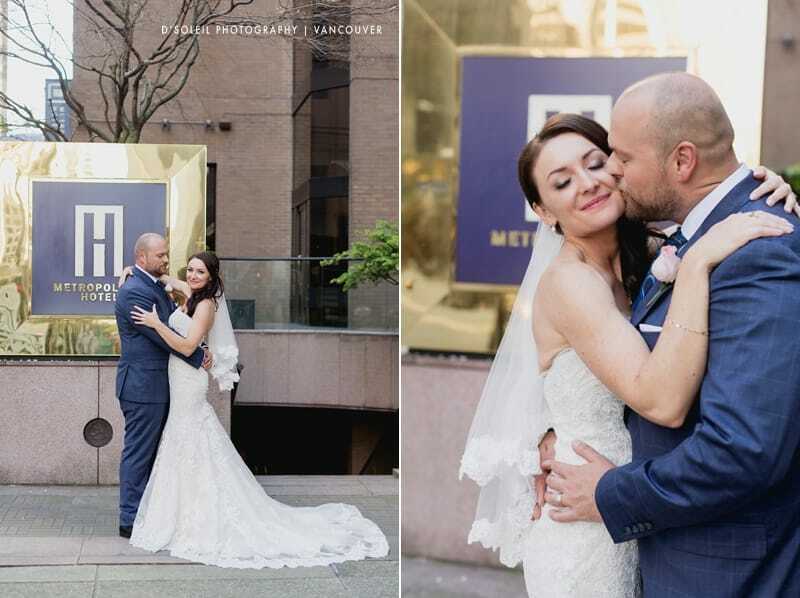 A Metropolitan Hotel Vancouver wedding in downtown Vancouver. 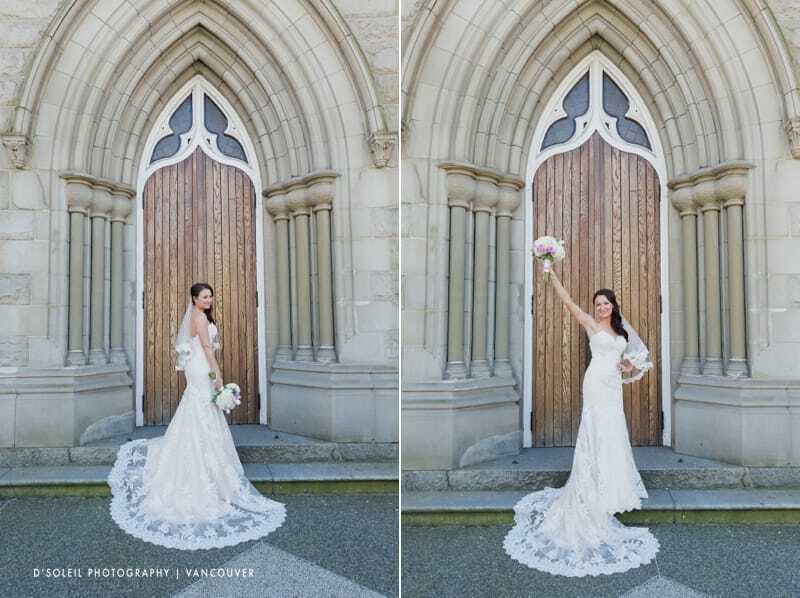 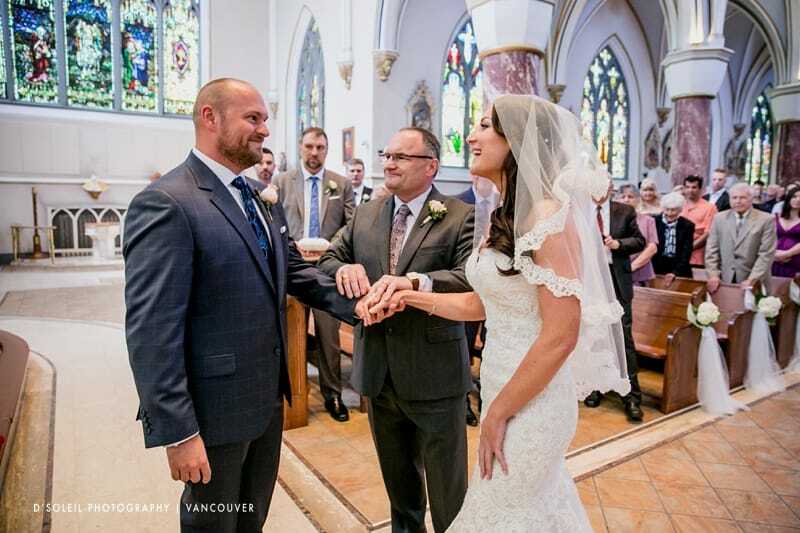 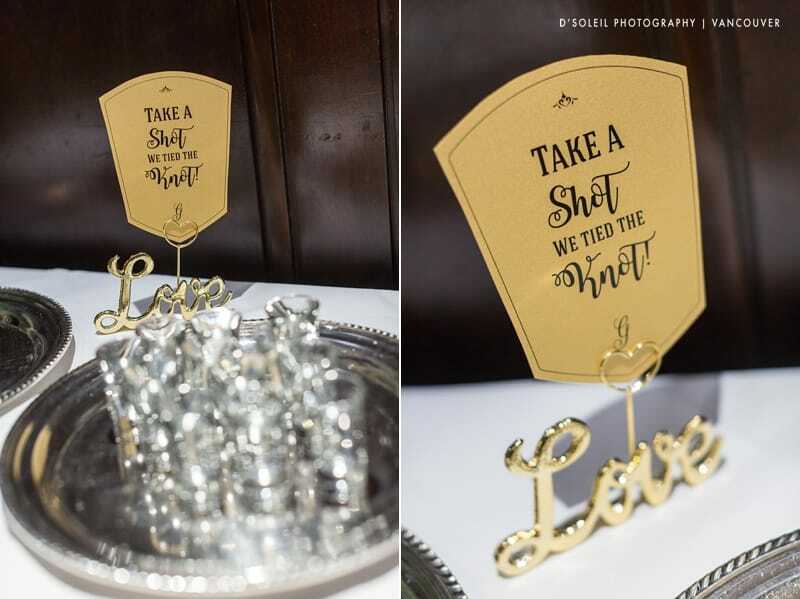 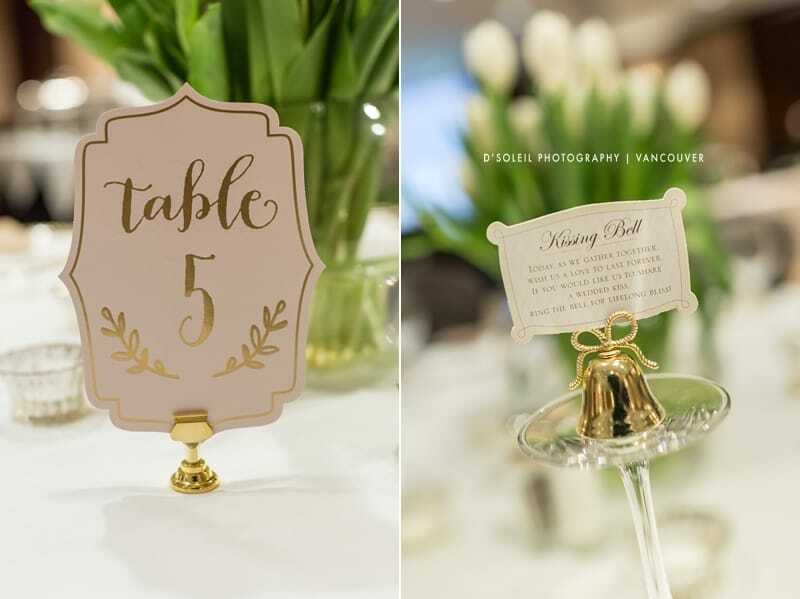 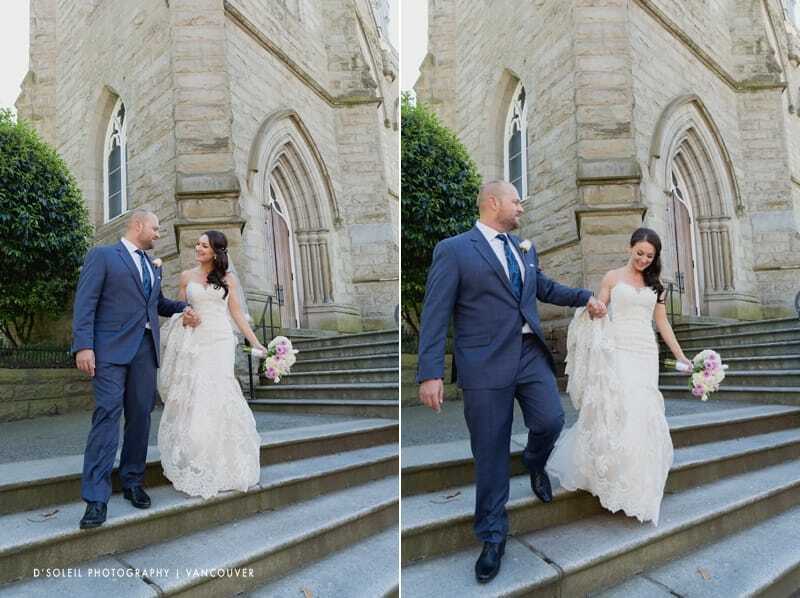 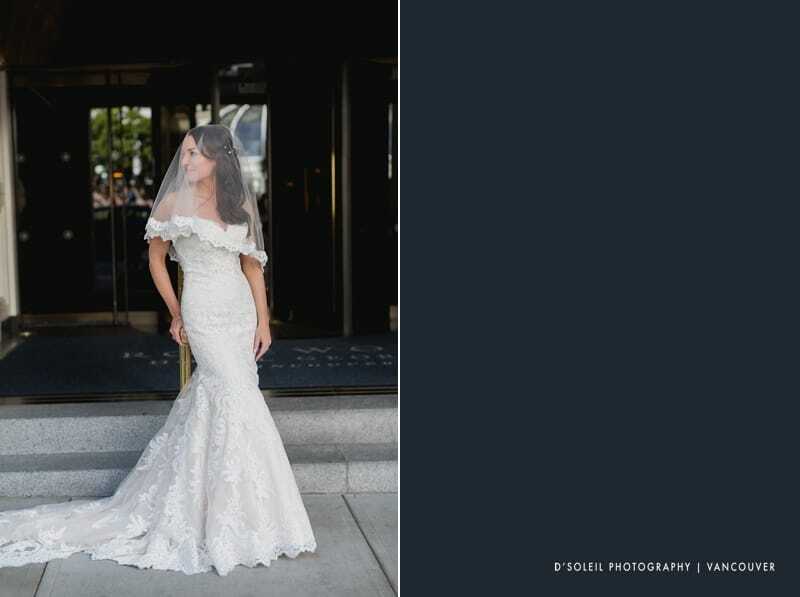 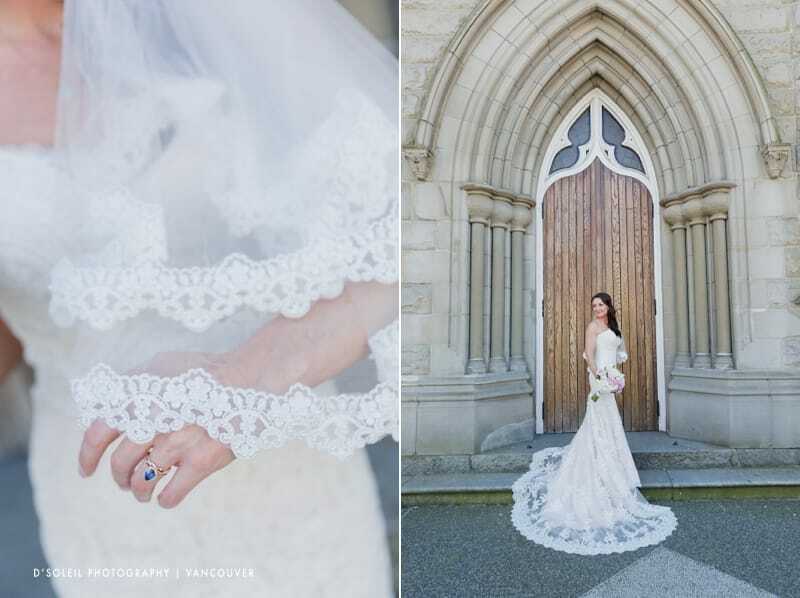 Patty and Mark made their union at the Holy Rosary Cathedral in a ornate Catholic ceremony surrounded by wonderful family and friends and later celebrated their first day as husband and wife at a dinner reception at the Metropolitan Hotel in Vancouver. 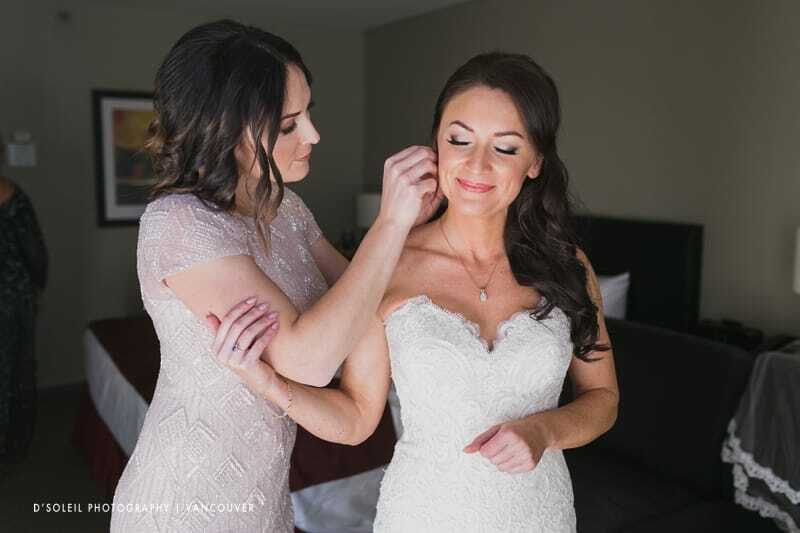 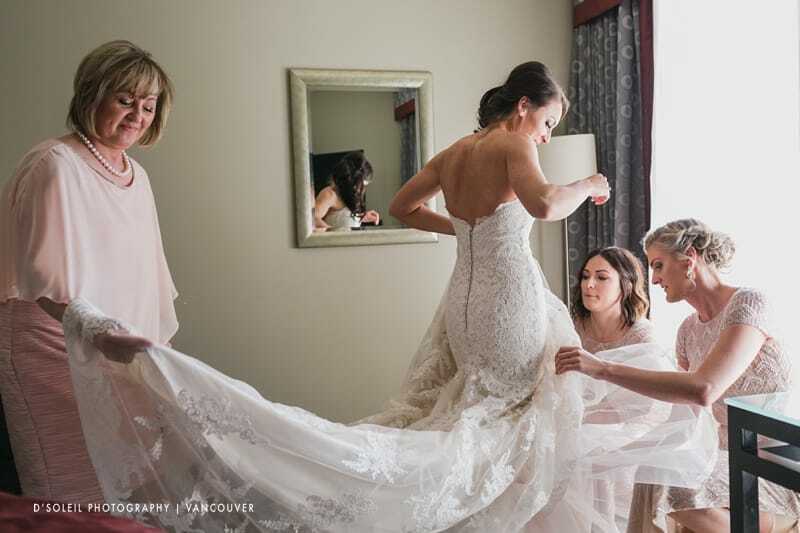 Their Vancouver wedding day started out as many often do, surrounded by family and close friends helping with the getting ready portion of the day. 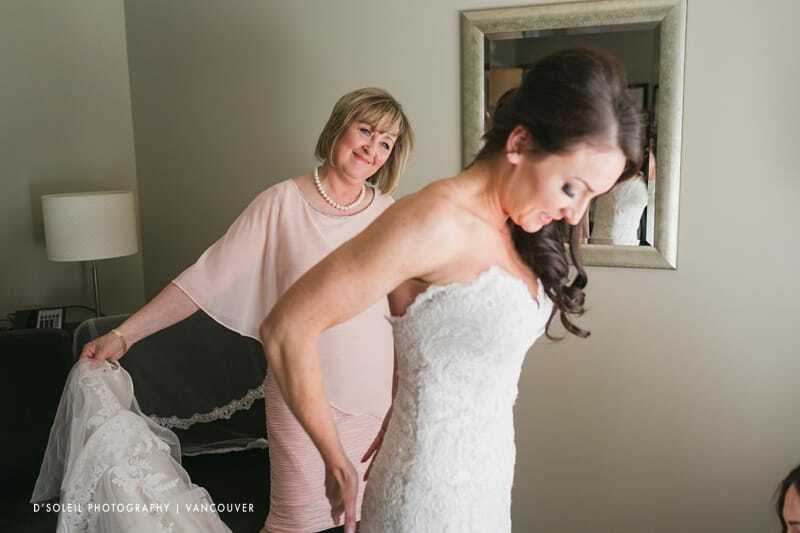 With emotions and anticipation running high, Patty prepared for a big day ahead with her future husband. 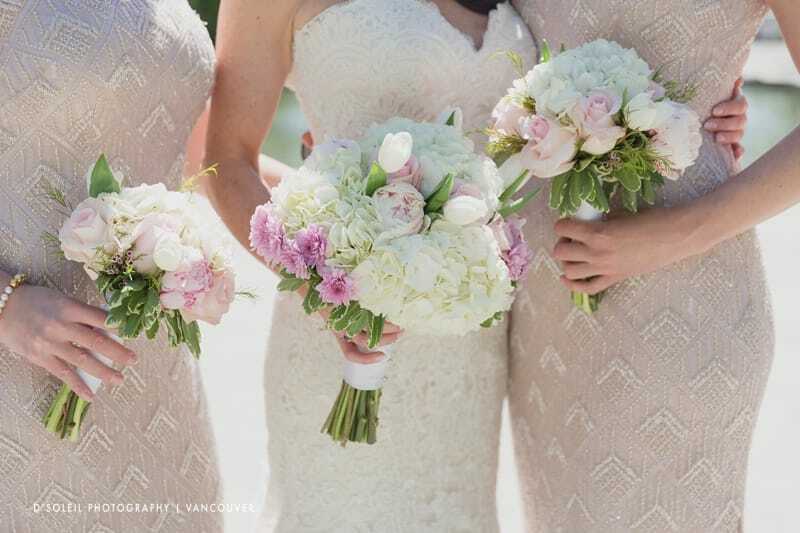 I loved the bridesmaids dresses and how beautiful these wedding bouquet flowers looked against the champagne coloured dress and patterns. 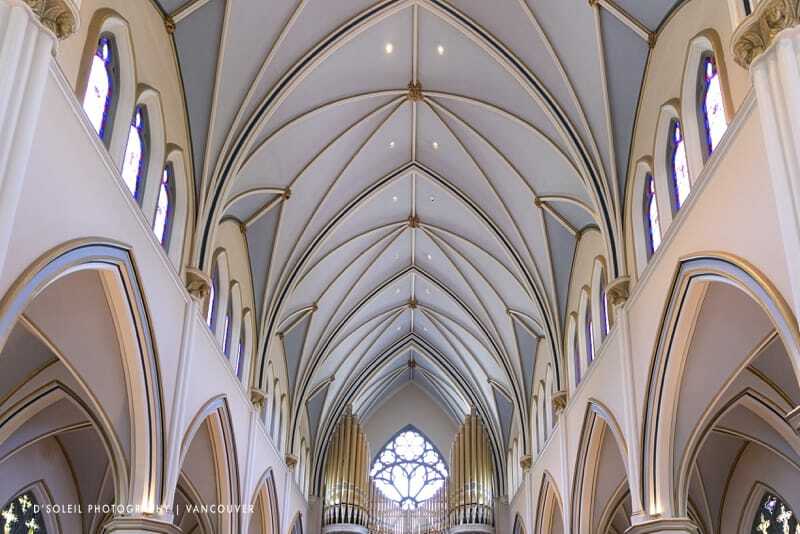 The matched the colour of the Holy Rosary Cathedral interior so well. 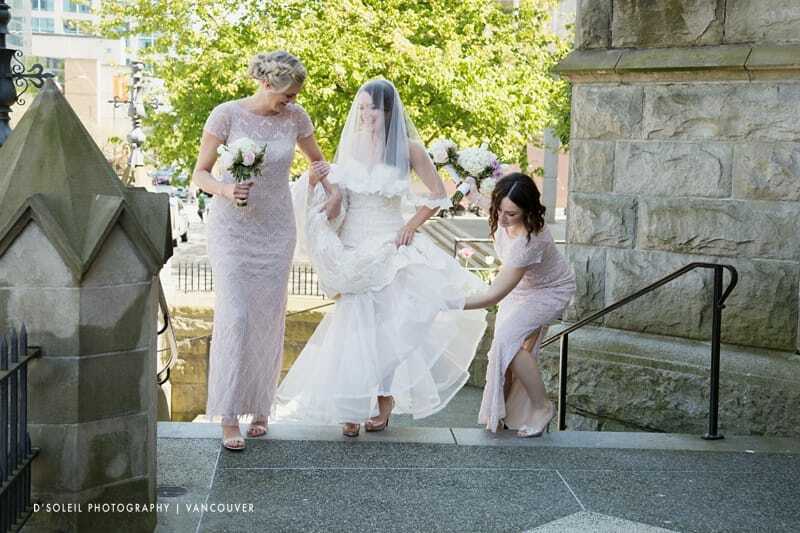 I wonder if she planned it that way – knowing Patty, she likely did. 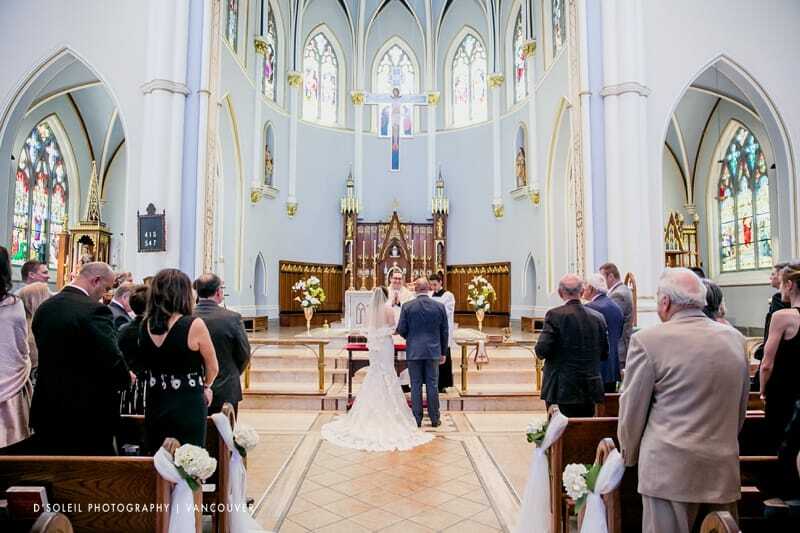 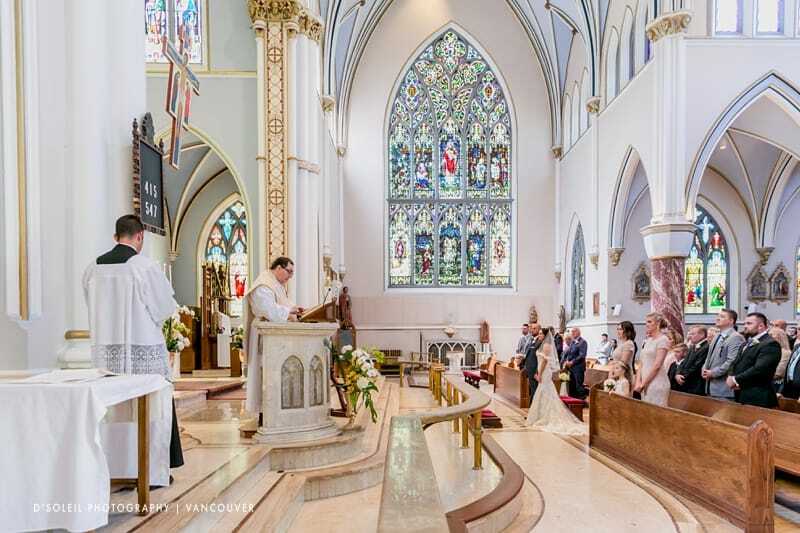 The long walk down the aisle is one of the most special aspects of weddings at the Holy Rosary Cathedral. 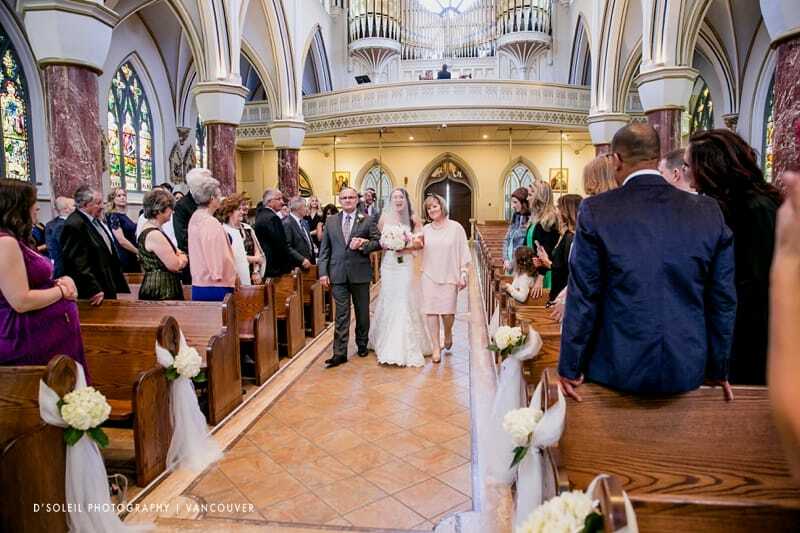 Another great moment was when Patty’s dad handed her over (ceremonially) to Mark. 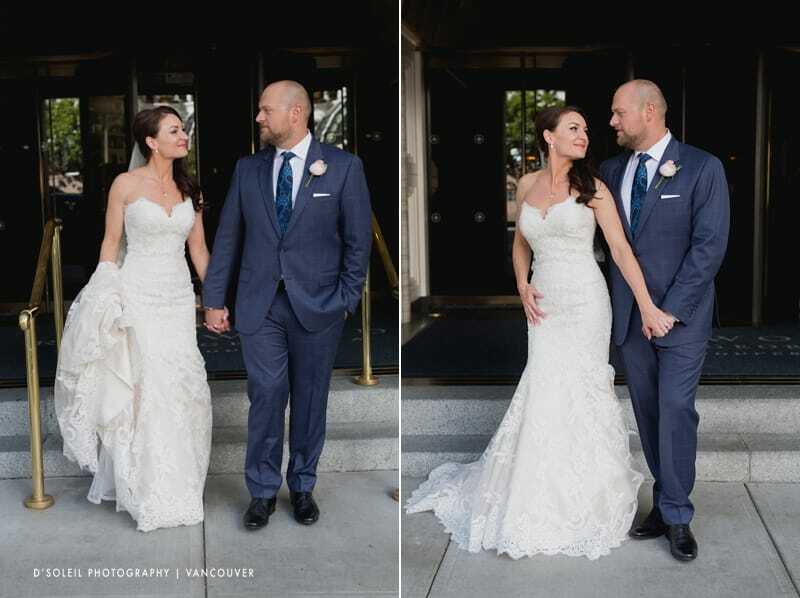 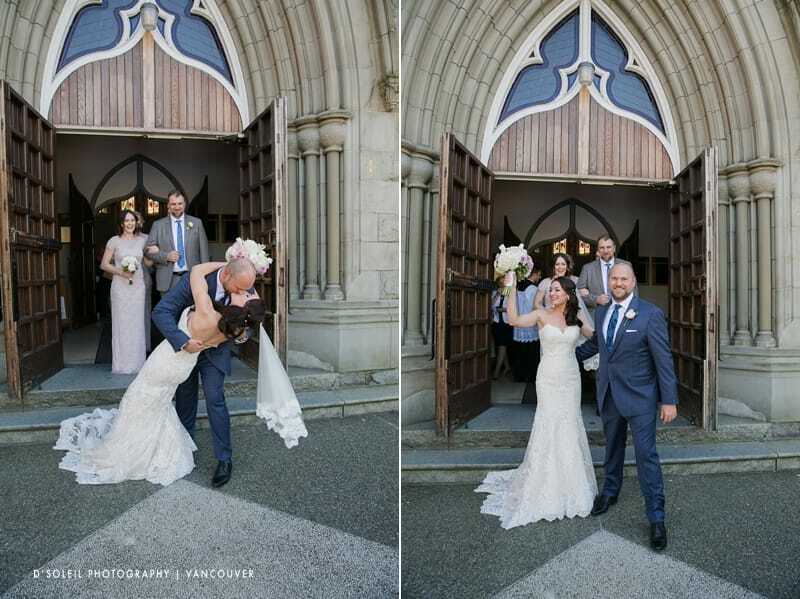 Following the long Catholic ceremony, which took around forty-five minutes or so, Patty and Mark were finally married and celebrated with a big kiss outside one of the most beautiful cathedral churches in Vancouver. 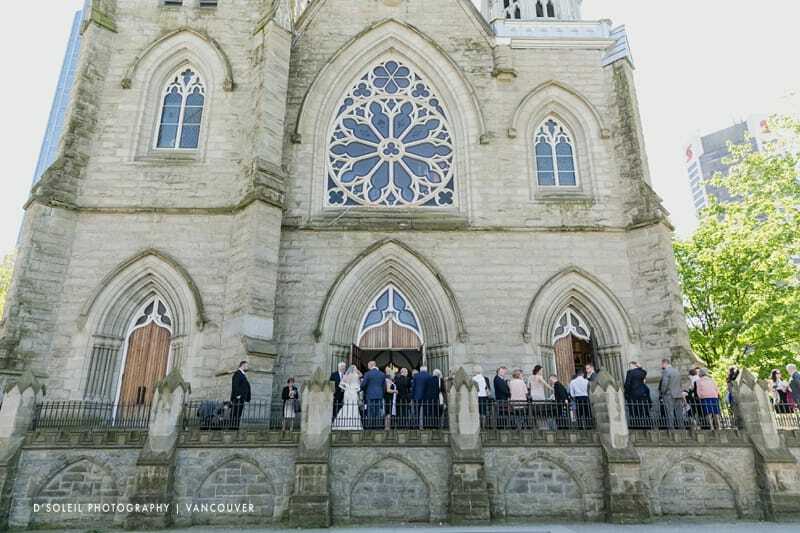 As they greeted friends and family, I went across the street for a unique shot of the cathedral’s facade. 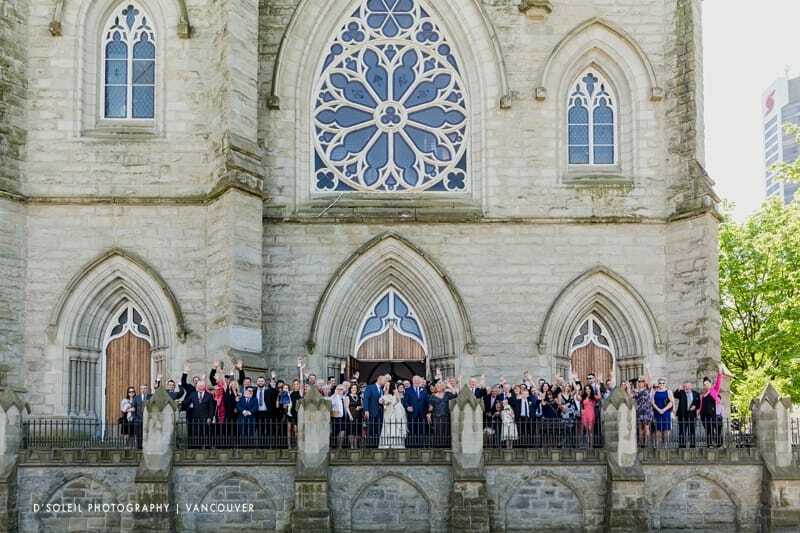 Then we took a group photo featuring all the wedding ceremony guests from that afternoon. 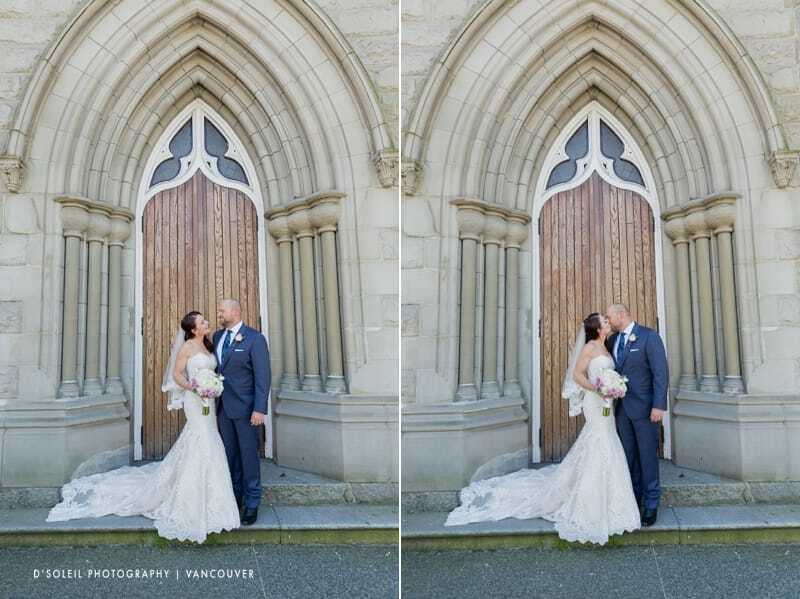 We then took photos of the bride and groom in front of the church’s doors. 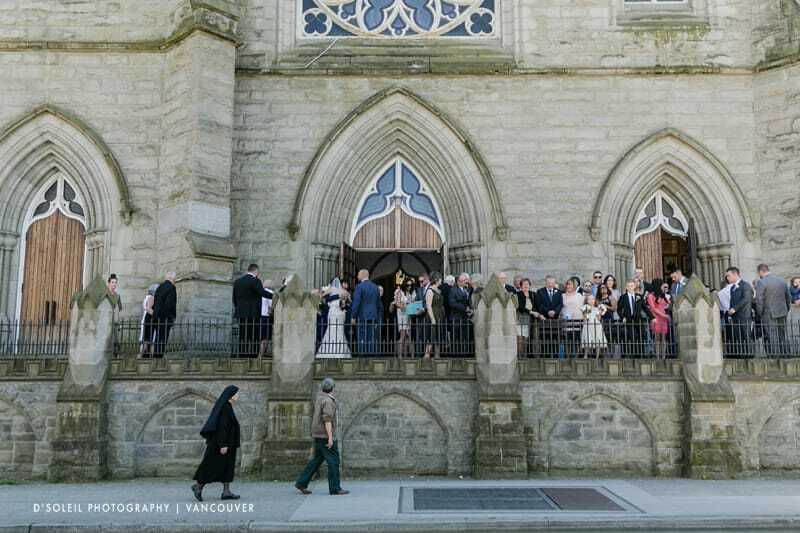 Despite the gathering crowds on on-lookers, we created a set of minimalist wedding photos with only the bride and groom. 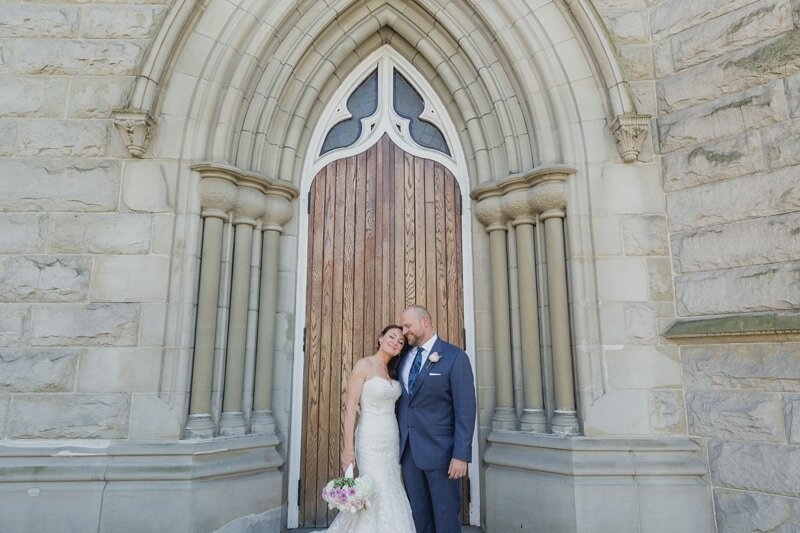 We later went back inside the cathedral and climbed up the side stairs for some bride and groom wedding photos in the interior of the church. 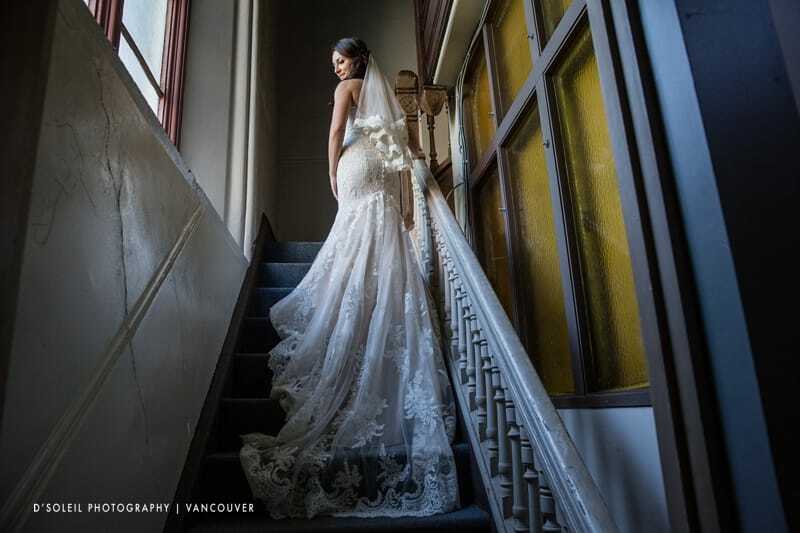 Patty’s long beautiful dress made for a beautiful classic bridal portrait on these stairs. 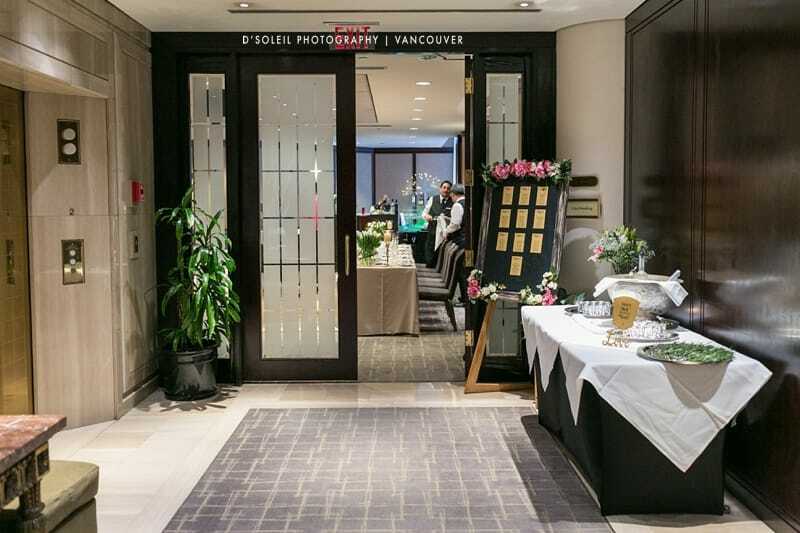 Then off to the Metropolitan Hotel for more photos outside at street level. 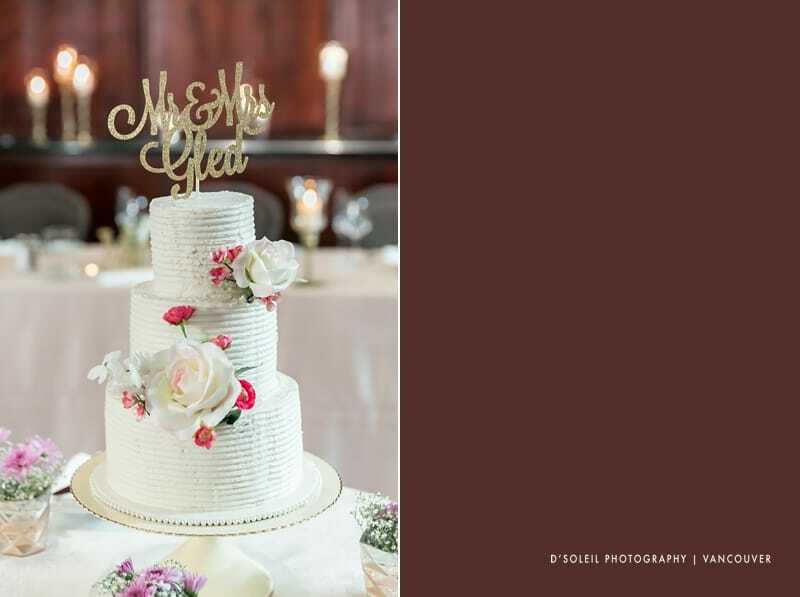 We later went into the ballroom and photographed the space and decor while the bride and groom took a much deserved break before the wedding cocktail and dinner reception. 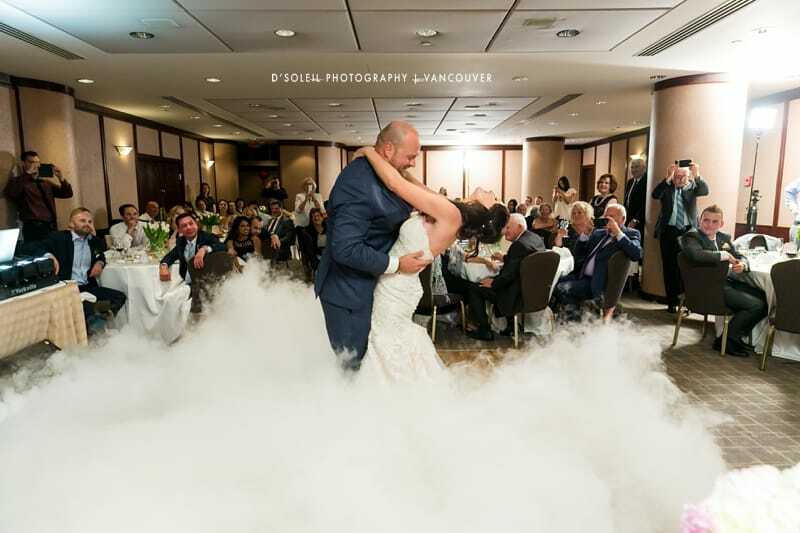 It was an evening of wonderful speeches, a lot of laughter, and a beautiful first dance on a smoky ballroom dance floor. 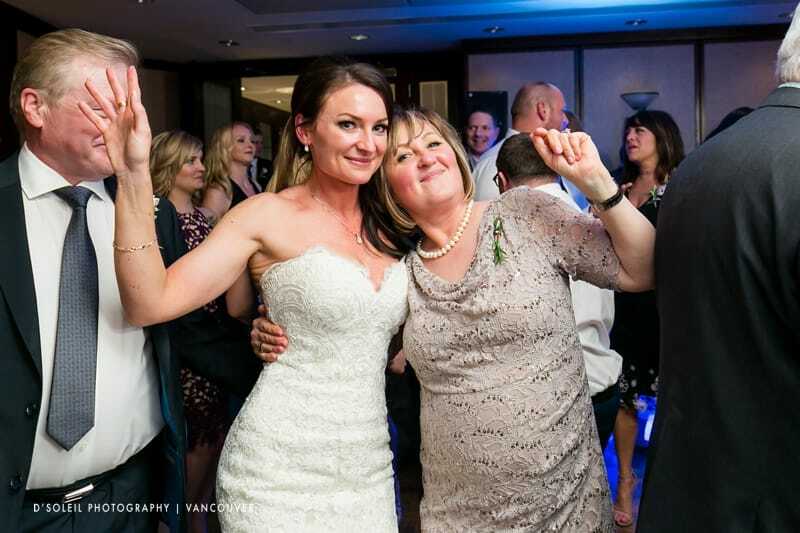 They dancing lasted late into the evening, ending a fantastic wedding day for another beautiful couple. 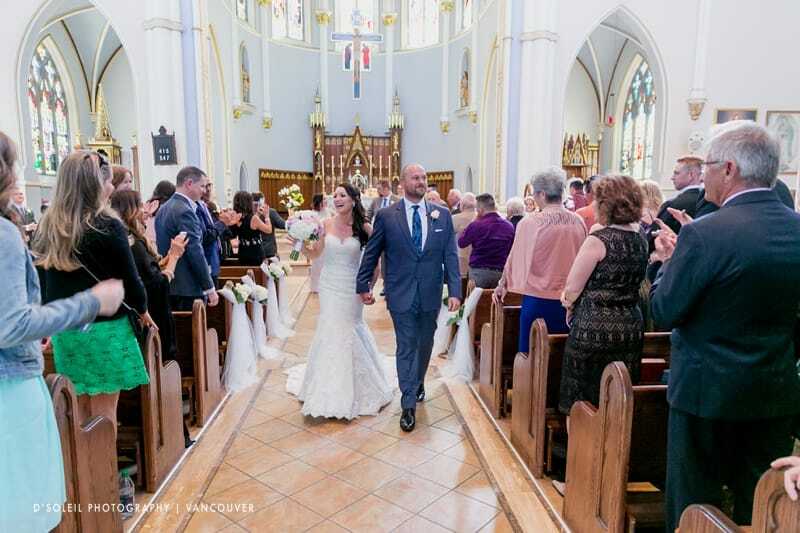 Congratulations again Patty and Mark! 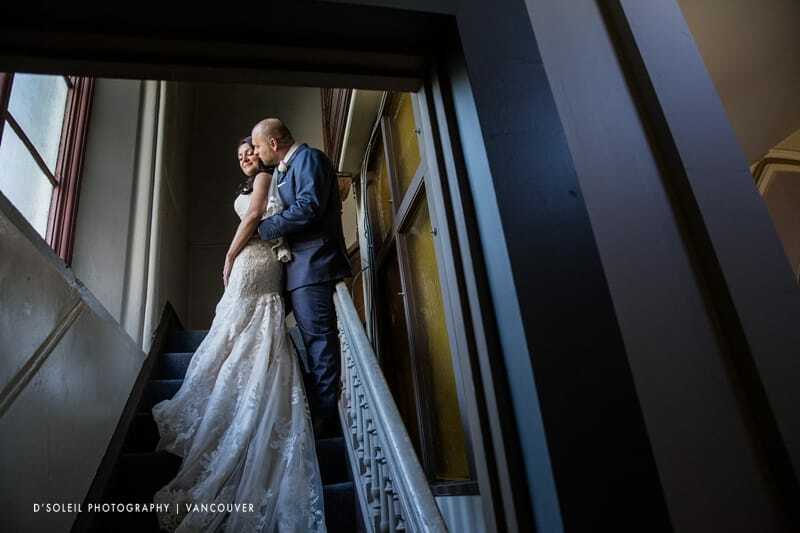 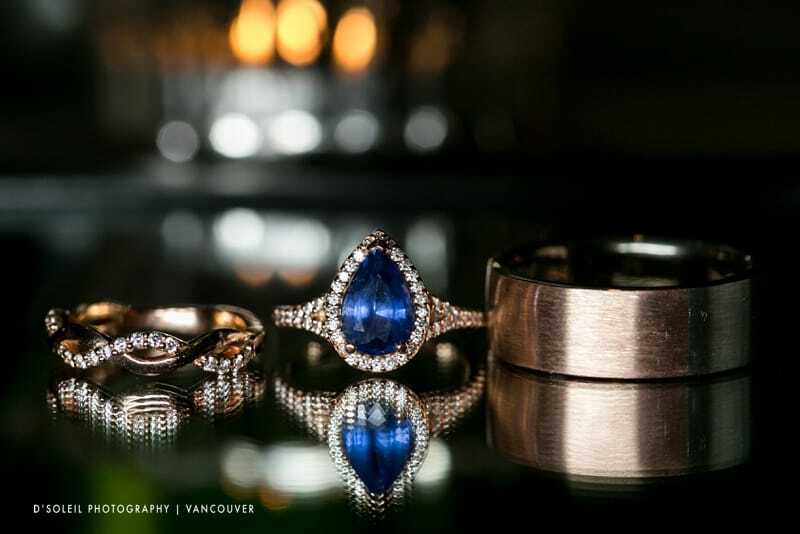 If you would like more information about wedding photography in Vancouver and surrounding areas, please contact us for rates and availability for 2019 and beyond.